Our goal at Yoder Lawn is to help you create the back or front yard paradise you have always wanted. Longing for new trees and plants? Pavers or natural stone? We’ll guide you through the decisions, providing fresh options and then stand back while you choose your favorites. We bring it all together into a front or back yard design that is beautiful, functional and uniquely yours. Yoder Lawn will be here for you from start to finish and we will be happy to continue to mantain your project for you so all you have to do is sit back and enjoy your new green space! Say hello to your new favorite vacation spot. When you chose Yoder Lawn you’re not just hiring another lawn care company. We are fully licensed and insured and have been in business since 2005, so you can rest assured we’ll still be here if a question ever arises with your property. Tim Yoder owner/operator has a degree in turf and landscape management and all spray technicians are licensed with the state of Missouri. We keep the small things that matter in focus, while preserving the big picture idea. Welcome to Custom Creations Landscaping and Lawn! Proudly Providing Professional Landscaping and Lawn Care Services to The Ozarks Since 2000! We are an award winning Landscaping and Landscape Design comapany in Springfield, MO. Providing services that beautify our environment through higher standards of quality, service, professionalism and value. It is a privately owned company located in Springfield, Missouri. Vision Landscape currently serves the greater Springfield, MO area. We pride ourselves in offering a great experience, with fast and reliable service. Our business is dedicated to fast, reliable and uninterrupted service throughout the year. We use the best materials that fit your lawn needs and constraints. We work on any project, nothing too big or too small. We take pride in our work and enjoy doing the landscaping itself. OUR MISSION: To distinguish ourselves in the minds of our customers and our employees as the very best lawn and landscape company in all of the greater Springfield, MO area. To constantly re-evaluate the work methods we deploy, and the choices we make every day as an organization, as we pursue this goal. And to embrace, and develop along side of, the communities in which we serve. Please feel free to stroll around look at pictures and enjoy your time with us. You are only previewing what we can bring to your home. If you woluld like us to design your dream landscape please contact us. When you're ready to invest in a beautiful outdoor living space in Springfield, MO, leave the details in the hands of a skilled landscaper from Edwards Lawn Service. Whether you're searching for flowers to add color to your space or for trees to shade your home from the sun, you can count on our professionals. We're a locally owned and operated business that is committed to keeping our clients' spaces looking their best. Our friendly staff takes a personal commitment to each of our clients. If you're looking for exterior upgrades, we can handle the design and installation phase on your behalf. When you're searching for assistance with tree pruning, we can channel growth to create and foster a healthy canopy. We can mulch your flower beds to conserve moisture and add color to your landscape. When you're looking for a skilled landscaper to maintain your residential or commercial property in Springfield or the surrounding area, Edwards Lawn Service is only a phone call away. Contact us to set up your initial appointment. Hardscapes And More is locally owned and operated by Eddie Campbell. We are located in Ozark; at 5010 N. 22nd Street. 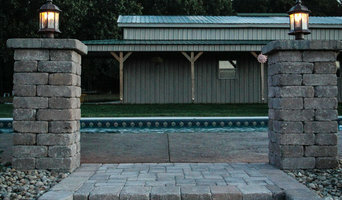 We are proud to offer Belgard, Stone Age, and Ridge Rock hardscape products. We now have installation crews available to install any product we sell. Hi folks, George here! Thinking about your outdoor space? Getting your landscaping in tip-top shape is what I've been doing in Missouri for over 20 years. Let a professional third-generation landscaper do what I do best so you can feel the pride that comes with a well maintained outdoor area around your home! When you're getting bids, please allow me to give you a timely, hassle-free estimate. I do high quality work at a working man's price. So whether we're just pruning and cleaning up, landscaping and putting fresh hardwood mulch down, or mowing your lawn, I have the proper equipment, references and a satisfaction guarantee. So let's get your yard ready for a beautiful season and "let George do it"! CJ's Lawn & Landscape LLC. was founded in 2003 with the idea of helping people maintain a healthy manicured lawn. Since then, we’ve added many services to accommodate the needs and desires of our customers. We offer a full range of services. Our goal is to give you the best looking lawn in the neighborhood, allowing you the freedom to work in your yard to the extent YOU want! We strive to give you the very best service available. Mike Fulton began doing landscaping work for Branson area residents and buisinesses over 16 years ago. Since that time he has grown his services to include landscaping as well as excavation, snow removal and specializing in retaining wall solutions. With and un-compromising dedication to quality work, Mike and his crews approach each job eager to get it done right the first time. Burl Huey Landscaping, LLC has been in business since 1953. Burl Huey Landscaping is a family-owned business serving the Springfield, Nixa, Ozark, Republic, and Battlefield, Missouri areas. We are a full-service Landscaping and Excavating services company. Since 1996, Greenleaf Landscaping has been providing Residential/Commercial lawn care and landscaping. Our highly trained team works to provide excellent service to each and every customer. We are fully licensed, insured and carry worker's comp insurance (which we can gladly provide if needed). Contact us today for a Free Estimate for all of your yard's needs. The owner, Brady Burns, started landscaping at the age of 14. He went door to door, mowing yards in his neighborhood, (of which more than 18 years later, he still has many of his original customers). After high school, he went to college and graduated with a degree in Turf & Landscape . Brady takes pride in Greenleaf, and goes above and beyond to ensure that your lawn and landscape needs are met. Here at Greenleaf, we use a combination of creativity, artistic abilities and practicality when working up a program for your yard’s maintenance. We invite you to browse our project portfolio, services, and testimonials, for more insight on what we can do to help you achieve your lawn and landscape goals. Enjoy Your Landscape Day or Night. After Prestige Lawn and Landscape LLC in Nixa, MO has finished beautifying your property, we can brighten your night life up with low voltage accent lighting. Our LED lighting system is long lasting and up to 85% energy efficient. When you are looking for a top quality landscape company in Nixa, MO and surrounding areas with competitive rates, look no further! Please contact for a free estimate. HCW Landscaping is a hands-on, full-service landscape and landscape maintenance company. We provide the highest quality in landscaping services. Our business is our livelihood but it is also so much more. Turfection Commercial N' Residential Lawn N' Home Care was started to fill in a void in the current market and to make a business that the people of Willard and surrounding areas can place their trust in. We have never lost our commitment to our clients and that is what has allowed us to succeed in a very competitive industry. We stand committed to our purpose as we stand committed to the people of Willard and surrounding areas. Not gifted with garden tools? Professional Springfield landscaping companies are your best bet to get lush, lovely grounds year round. Hire a landscaper to create and maintain a beautiful yard that complements your home and blends into its native setting. From soil, grasses and plants to decks, walkways and patios, Springfield landscape contractors are well versed in the components that make up a functional and visually pleasing outdoor living space. 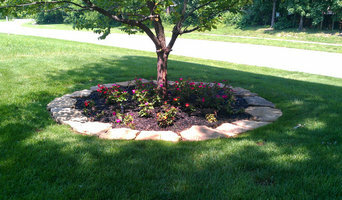 Learn more about how a landscaping company in Springfield, MO can help you with your yard below. What does a Springfield landscape contractor do? Landscaping contractors execute lawn, garden and hardscaping plans that have been drawn up by an architect or designer. They may also provide design services on their own. After the everything has been installed, landscape companies can make adjustments, maintain plantings, take care of weeds and pests, and perform other tasks to keep the scheme looking its best. A licensed Missouri landscaper should have detailed knowledge of Springfield, MO weather and climate trends and conditions, and can choose plants and materials that are well suited to the area. 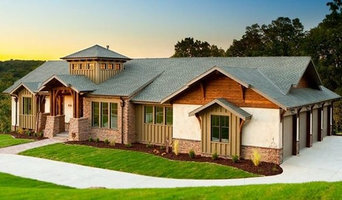 Residential landscape companies in Springfield, MO also handle many of the same general duties as builders, including arranging for construction permits, hiring subcontractors and making sure that designs comply with Missouri building codes. Find Springfield landscaping services on Houzz. 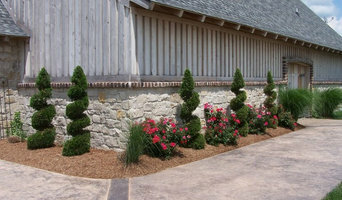 Narrow your search in the Professionals section of the website to Springfield, MO landscape contractors. You may also look through photos of Missouri landscapes to find one you like, then contact the landscaping company in Springfield, MO who worked on it.